Paper, or papier, mache takes two to three days to dry. This time frame applies whether liquid starch, a glue mixture, or a flour and water combination has been used. 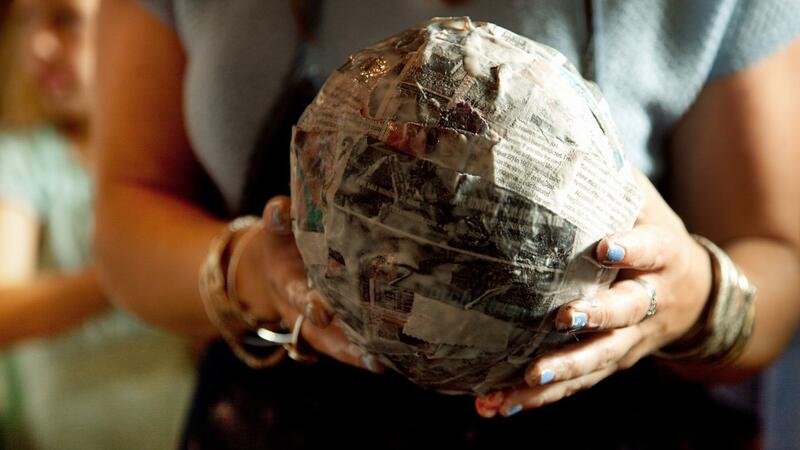 The paper mache process uses a sticky but strong adhesive to attach layers of paper or newsprint to a base form, such as a balloon, cup, egg carton or crumpled foil. When dry, the shape is light, strong and hard. Before painting, any rough spots are smoothed out with sandpaper. After that, the project is painted and decorated. Paper mache is useful for a wide variety of projects, such as Easter eggs, animal figures, room decor or pinatas.